Expand your theatrical arts by taking voice. Paul Fieldseth is one of the newest teachers to join the already prestigious staff of teachers at Northland School of Dance in Champlin MN., and we are excited to welcome him. Paul began his vocal music studies at Annandale High School under the instruction of Mr. Mark Nelson. Throughout those years Paul won mulitlple awards for his vocal perfromances and musical theatre roles. He continued his Vocal music education at Winona State Universtiy where he excelled in both choral and solo performances. During his tenure at Winona State Paul was named Outstanding Male Vocalist and Most Promising Male Vocalist multiple times. He traveled nationally with Winona State University as a part of Winona’s Madrigal Singers. 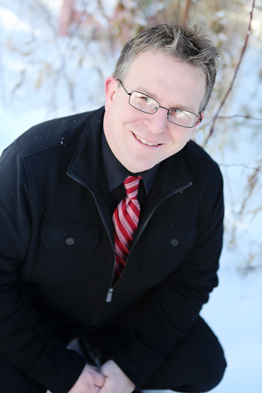 Paul has worked with many Elementary, Middle and High School choirs as well as students privately of all ages. He believes that singing is the basis of music-making. Paul has a great love for the Vocal performing arts and still performs as a soloist at weddings, churches and other events. He has had experience in both performing roles and producing roles in musical theatre with over 15 different musicals ranging from Les Miserables to Fiddler on The Roof. Paul believes that in order to learn and develop your voice one must have fun. Paul’s teaching style is very upbeat and is an encouraging blending of all styles of vocal music for all ages.